Broad match refers to the default method of keyword-matching in PPC campaigns. It displays ads using similar phrases, singular or plural forms, misspellings, synonyms, and related searches. 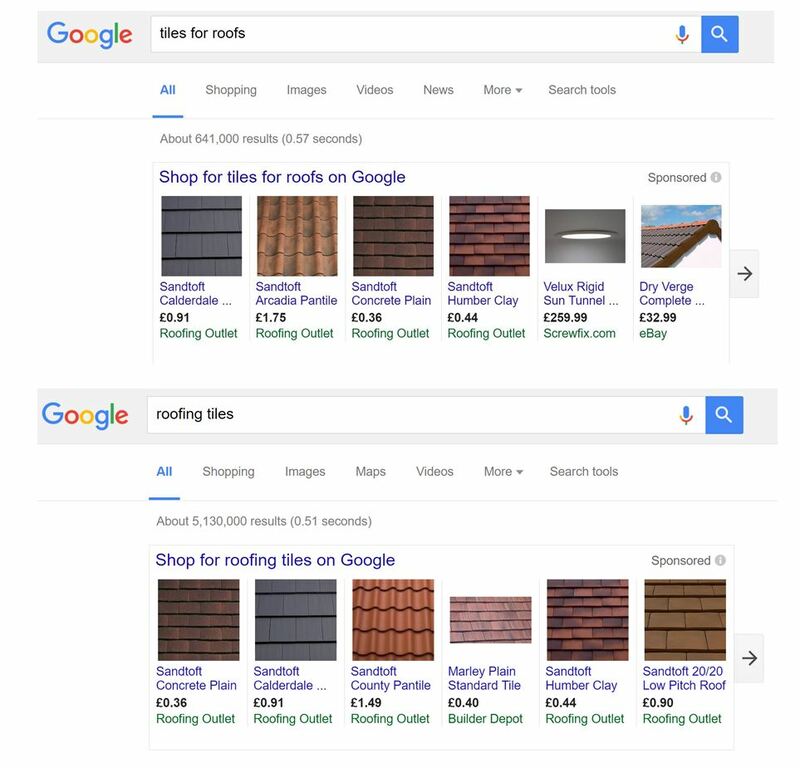 For example if you are targeting “roof tiles” your ad would be displayed if someone searches for “roofing tiles” or “tiles for roofs”. 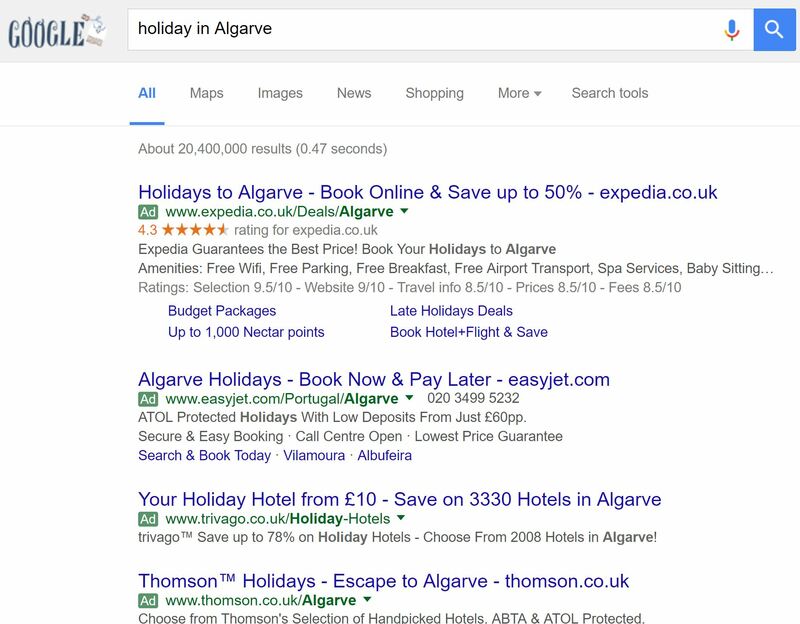 When these two phrases were input into Google search a number of the same sponsored ads are generated. See also exact match.